I don’t always like using the work “easy” to describe my outfits, because sometimes I think the word easy gets confused with lazy and that’s certainly not what I’m advocating! But I am all about having simple, set formulas that you can grab on a busy morning and know that it will always turn out great. 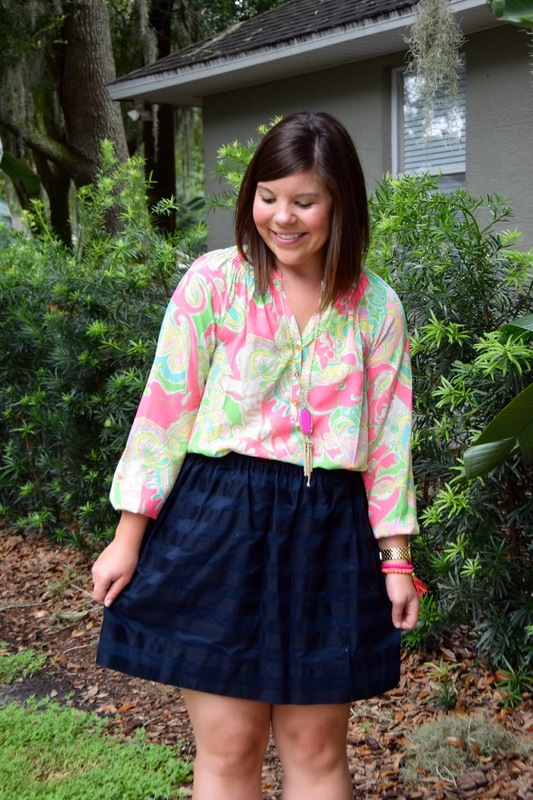 For me, during the workweek, that formula is an Elsa Blouse + Solid Skirt – trust me y’all it works every time! What’s your formula for fashion success at the office? Love this look! I always am trying to think of new ways to amp up my work wear! What an adorable outfit! 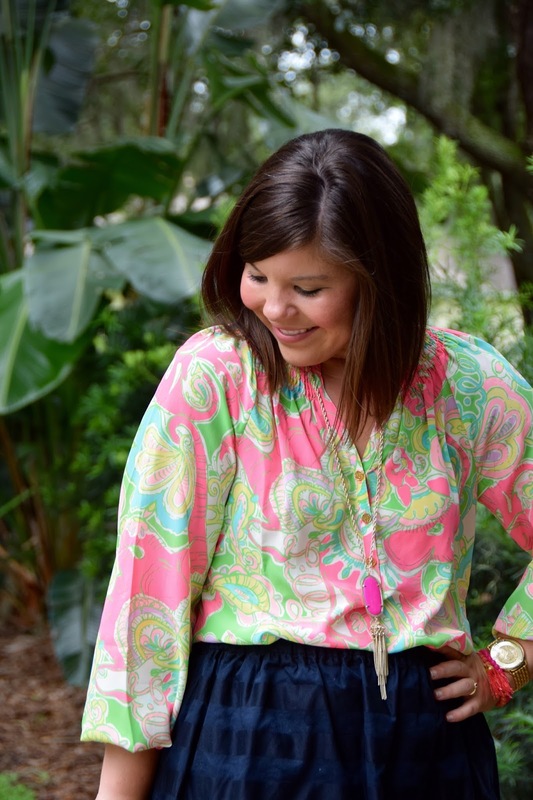 Love your colorful top and necklace paired with your navy skirt! So cute! Such a cheerful outfit! 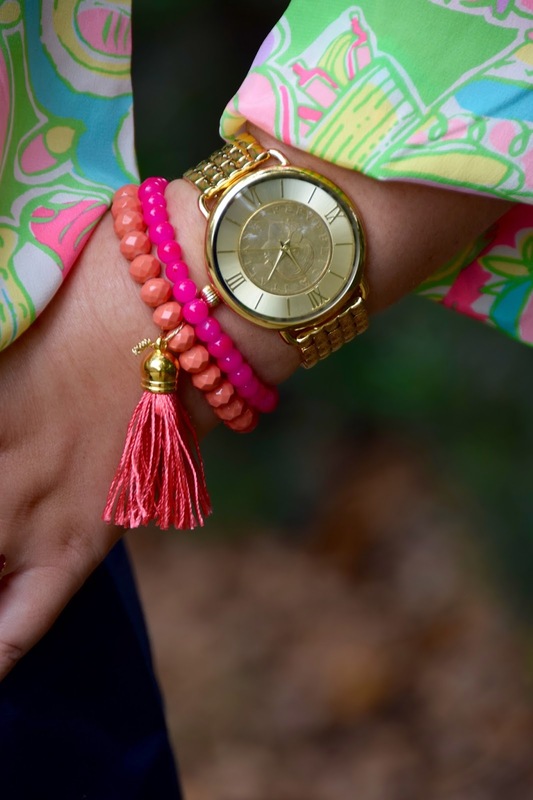 Love all those colorful details! Adorable! 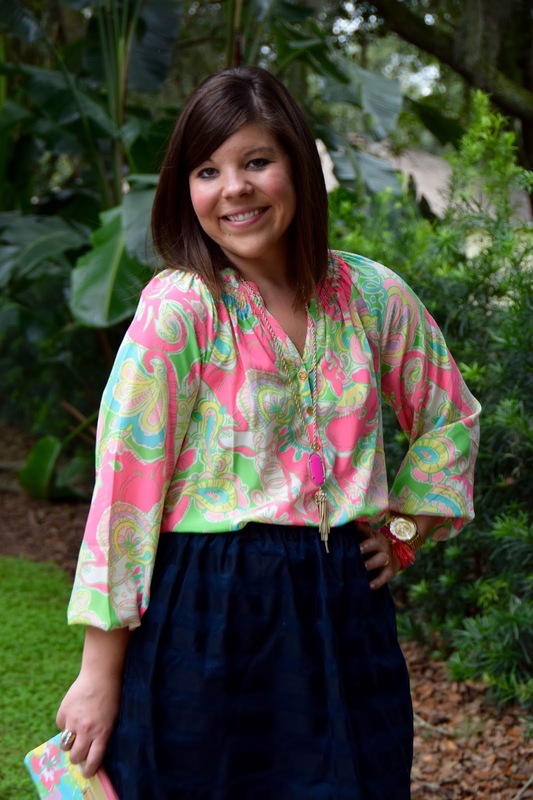 Such a gorgeous colorful blouse! 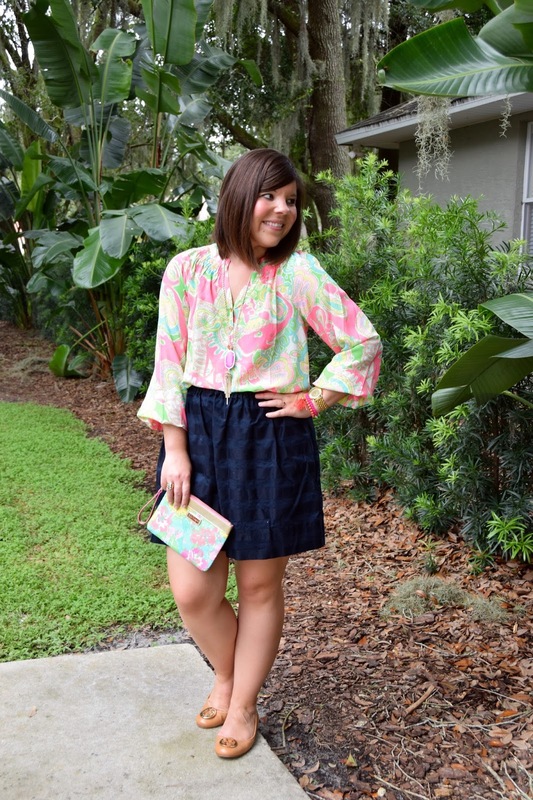 I love the subtle pattern in the navy skirt. It adds some fun pattern mixing to the look. 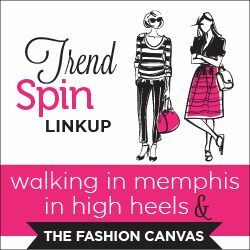 Thank you so much for joining our Tuesday Fashion Party Link-Up!! LOVE THIS!! SO colorful and pretty! 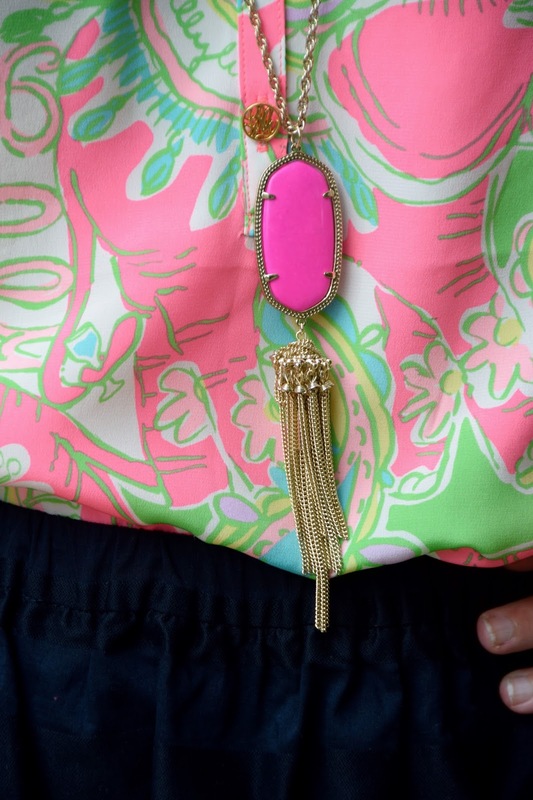 Love the necklace too!! Your blouse, skirt and clutch are all beautiful. 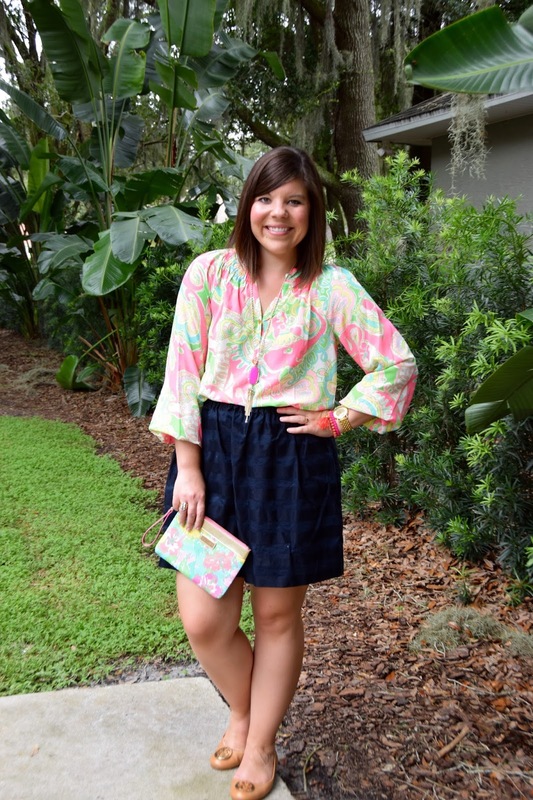 I love the mixing of the lighter pastel colors with the navy and the awesome pattern-mixing you did. 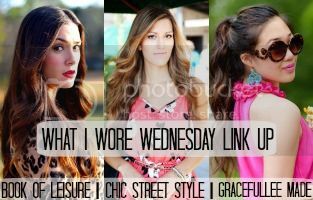 Welcome by and link this up today for my pink-themed linkup for Breast Cancer Awareness.